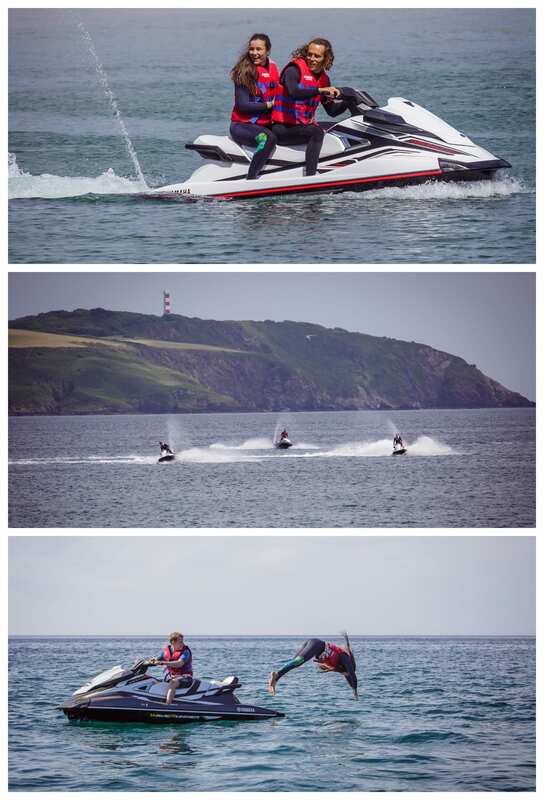 Experience our forever changing coastline under the guidance of a knowledgable instructor on the Ultimate Jet Ski Safari at Carlyon Bay in St Austell. Take a 15-20 mile trip along the South Cornish coast, viewing secluded beaches and remote coves. You will pass many local beaches such as Charlestown, Par, Polkerris, Fowey, Pentewan Sands & Mevagissey. There is often an opportunity for wildlife spotting whilst exploring on a safari. If you are lucky you may get to see some of the locals including Seals & Dolphins! No previous experience is required to take part, all training is given. Wetsuits and Buoyancy Aids are provided. Please bring with you swimwear and a towel. Been on the Ultimate Jet Ski Safari before? Why not try our Banana Boat Rides?